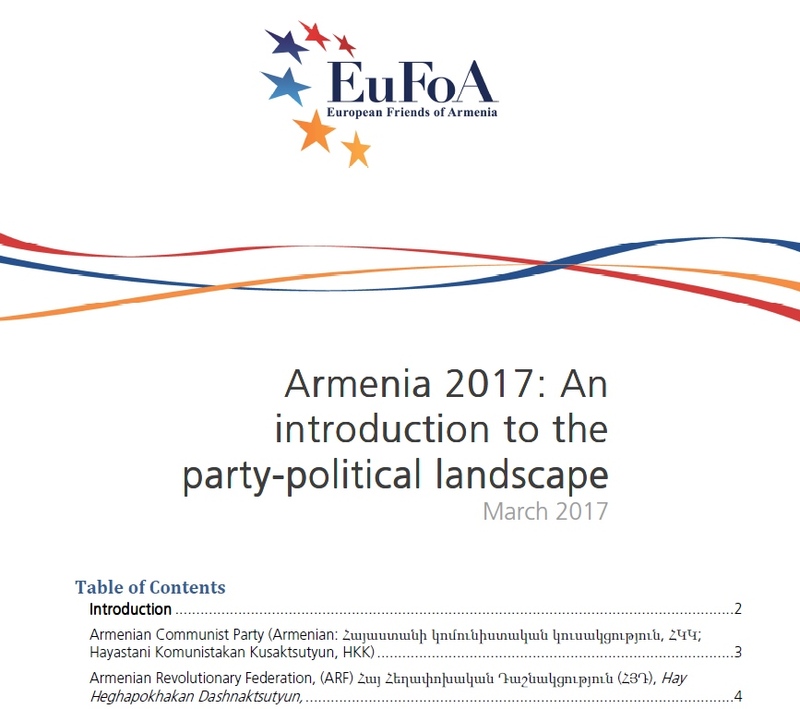 The guide also offers a short and understandable introduction to the new Armenian electoral code, which in itself is quite complex but also an exciting change over the past semi-proportional system. “I was surprised to learn that the Armenian system now has an ultra-modern 25% gender quota. There were more discoveries during our research, so I’m sure this paper will not only be useful but actually an interesting read.” commented Dr Michael Kambeck, Acting EuFoA Director. EuFoA is happy to provide commentary or background analysis in English, German, French, Russian and Armenian. Members of our Europe-Armenia Advisory Council may also be available for comments;for enquiries please contact our Secretariat. High resolution picture material is always available on our website and upon request. It is free to use with a reference ”Copyright: www.eufoa.org”.